Paying for college is no small feat. Even with student loans and grants, most students can’t afford the entirety of their tuition. In 2015, the average college graduate had over $35,000 in debt. There are many reasons why someone may be paying for college on their own. In most cases, parents either can’t or won’t contribute to the cost and students without their own savings are left trying to figure out how to pay for their degree without any outside financial support. No matter how hard it may feel, paying for college by yourself isn’t impossible. 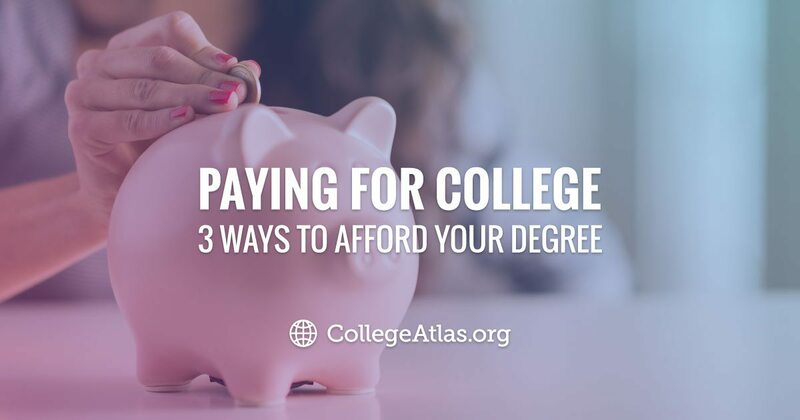 Here are three ways you can pay for your degree on your own. It’s fine to have your heart dead-set on a university and you don’t have to throw away that dream. However, paying for college is a lot more affordable if you attend a community college for at least half of your degree, so you can earn all of your prerequisites and transfer them to the university of your choice. The average community college tuition for in-state residents is between $3,000 and 10,000. If you qualify for a Pell Grant and work part-time, you could pay off your classes every year without needing to take out any loans. For many students, a two-year degree can be earned for less than $10,000. There are several options in federal student aid that don’t require you to pay back any money. If you take out a loan, receive a grant, and/or combine that with one of the hundreds of scholarships available today, you could easily pay off the majority of your tuition at a state college and supplement the rest with income from a part-time job. For a detailed and user-friendly explanation on FAFSA, check out fafsa.ed.gov. To learn more about open scholarship opportunities in 2016, visit scholarshipamerica.org. You should also consider applying to schools that offer merit-based assistance to students. Even if you manage to get the majority of your tuition covered, paying for college costs like textbooks can be more difficult. Avoid going into debt by finding alternative solutions to typical college expenses. Instead of living in a dorm, which can add over $10,000 to your annual tuition, find a roommate in an apartment off campus. Instead of paying for new textbooks or relying solely on the college bookstore, double up with a classmate or search online for deals and digital books. For example, you can often rent textbooks from websites or from former students, and many times you can even find free PDF copies of major textbooks and use them without paying a dime. Online courses can also save you a lot in transportation and living costs, but you will have to set a strict schedule and have great time management skills to ensure success. Some universities offer everything online from nursing certification to a Masters of Public Administration degree online. You’ll be able to find an area of study through most online institutions and in many cases will get the same quality of education with little added expense. Paying for college without your parents’ help is difficult, but not impossible. Through FAFSA, scholarships, and working part-time, you can earn your degree with little to no debt and go on to land your dream job. All it takes is a little effort to see where you can stretch your spending, add up your savings, and find extra help. If you know where to look and where to find support, paying for college can be a breeze.